I showed her my CardiBlazer design and she wanted to go for it. 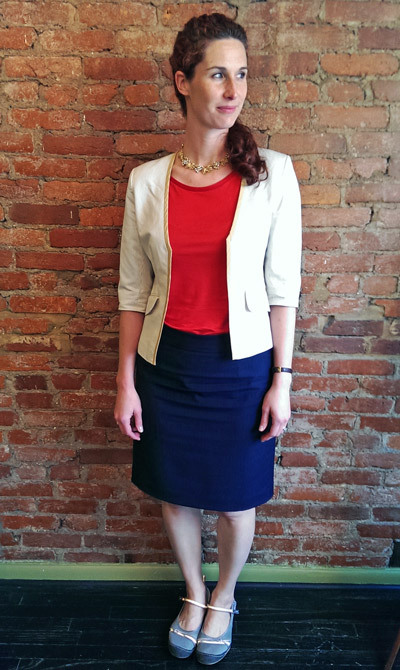 She picked out a tan for the accent stripe, which kept it appropriate for work. I also noticed that there was a stain on the sleeve, but she wanted the sleeves hemmed 3/4 length anyways, so I just made sure I hemmed up high enough. 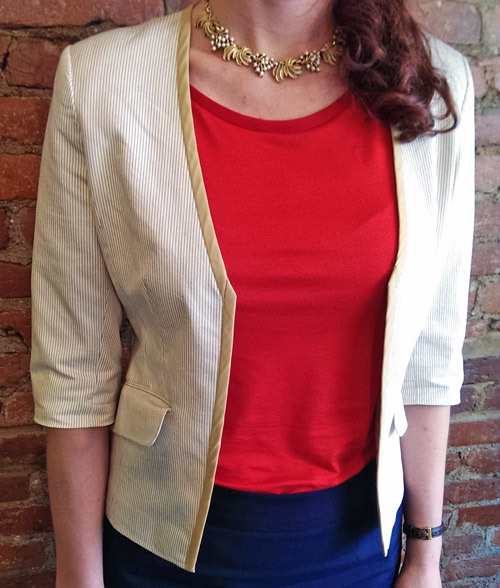 Now Andrea’s well-loved blazer has been converted into something new, just in time to avoid the donation pile. Live on, blazer! Do you have an old blazer that you can’t quite let go of, but it needs some jazzin’ up? 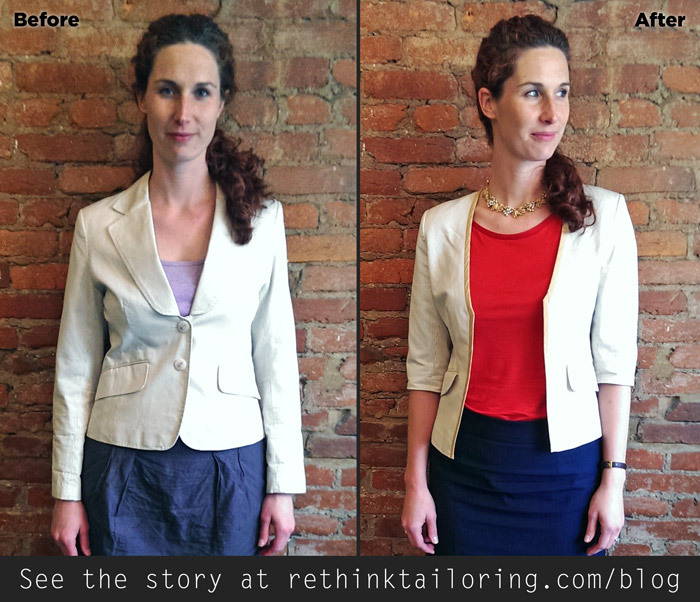 Email me details at kristen@rethinktailoring.com and I can let you know what’s possible! If you want a custom CardiBlazer, the collar treatment costs $55 (does not include additional tailoring or sleeve hemming). Want to see other examples of the CardiBlazer? Check out Aaron’s or Tiffany’s!